*Each Hat is exclusively MADE to order. In the early 1920's a young millionaire, E.R. Byer sold his business in Michigan and traveled South to further his fortune and investment. His investment was a brilliant young hat maker, Harry Rolnick, who was operating a small hat factory. E.R. Byer was one of Rolnick's customers and was so impressed by his professionalism, flair for fashion and devotion to quality that in 1927 the firm of Byer-Rolnick was founded in Dallas, Texas. The company produced men's felt hats in Western and Dress stylings, both were marketed under the newly created brand name "Resistol Hats," meaning to resist- all weather. Distribution was limited to Texas and Oklahoma early on, but innovations like the Self-Conforming band and Kitten Finish (an innovation in the finishing process of felt) gained national exposure and in 1938 prompted expansion to a larger facility in Garland, Texas, where Resistol hats are manufactured today. 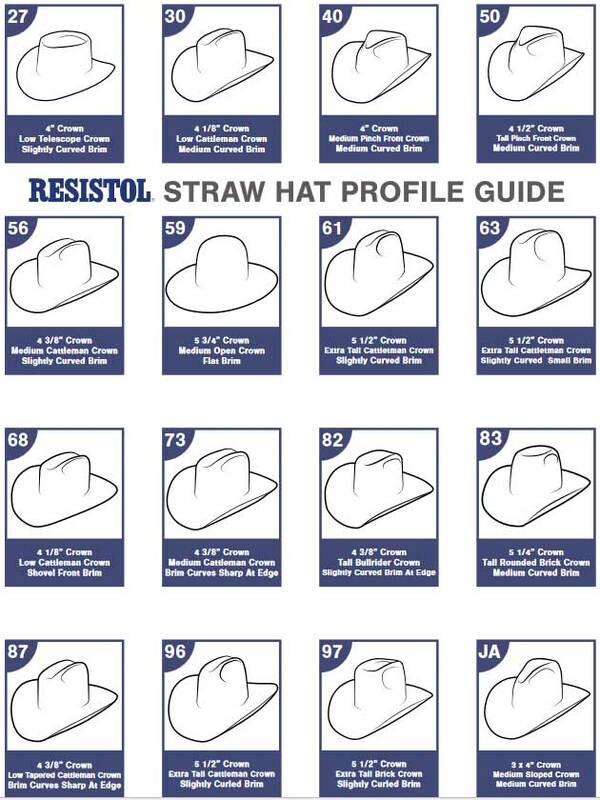 Demand for Resistol hats continued and today "the small hat factory" is the largest manufacturer of headwear in the world, as a part of Hatco, Inc. All phases of production are still operated and controlled to ensure product of the highest quality.